What Does Chiropractic Care Treat??? Have you ever wondered what conditions can be treated by a chiropractor? On many occasions, I have had patients tell me about an injury or ailment as a side note and they are surprised when I tell them that I can treat it. Most people think that chiropractors only treat back and neck pain, but that couldn’t be further from the truth. Of course, some chiropractors choose to only focus on treating back and neck pain…but that is not the case at Pro Chiropractic! A chiropractor is an expert in treating musculoskeletal issues, including ligament sprains, muscle strains, overuse injuries (like carpal tunnel syndrome or tennis elbow), headaches, and much more. Our effectiveness in treating those issues isn’t just limited to the spine. As chiropractic physicians, we are equipped to not only adjust the spine but extremities as well. Some chiropractors even choose to further their education by specializing in the treatment of sports injuries. 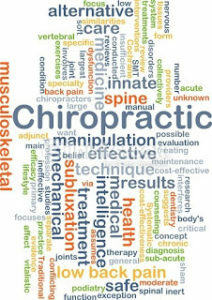 Let’s start with the issues that are most commonly associated with chiropractic care. Low back pain, neck pain, herniated discs, and headaches are often treated in a chiropractic clinic. And rightfully so as chiropractors are very effective in treating these conditions. 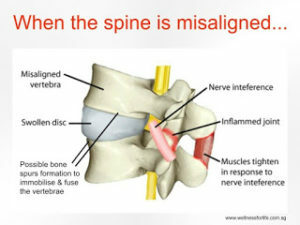 More often than not, a non-traumatic onset of low back or neck pain is due to an underlying structural issue with the spine. The musculature supporting and surrounding the spine can only compensate for poor structure for so long before they give up and cause pain. Consistent chiropractic adjustments, paired with therapeutic exercises and soft tissue mobilization, have been shown to help restore the proper structure of the spine. This is also true for herniated discs. Receiving consistent chiropractic adjustments can help to decompress the disc space thus relieving pressure off the disc itself and allowing it to resume its original shape and orientation, minimizing the herniation (bulging part of the disc). Once the pressure on the disc is relieved and the herniation is resolved, the pressure and irritation on the spinal nerve are also relieved which diminishes or eliminates the associated symptoms like pain, numbness or tingling. What most people don’t know is that chiropractors can treat most sports injuries as well. Ankle sprains, pulled hamstrings or quadriceps, runner’s knee, jumper’s knee, plantar fasciitis, shin splints, rotator cuff injuries, IT band syndrome, and concussions are just the tip of the chiropractic iceberg. Many athletes are predisposed to developing one or more of these conditions because the joints in their extremities (arms and legs) are not aligned properly. Continuous practice and play on misaligned joints can change the way the surrounding muscles function, thus increasing the risk of injury. But aligning the joints is just one aspect of treatment. Soft tissue mobilization to help reduce fascial adhesions (muscle knots) can make a huge difference in how well the muscles function. The application of kinesiology tape or strapping tape can also be beneficial while treating the injury because the tape can add support to a joint or reduce pain in a muscle. Concussions are a hot topic in sports today and chiropractors are qualified to assess them and provide recommendations on activity restriction that may be necessary for proper recovery. If you have an injury that you want to have evaluated and treated, odds are a chiropractor can help you. So if you already see a chiropractor, don’t hesitate to tell them about it. If you don’t, call Pro Chiropractic today for an appointment with any of our four amazing doctors of chiropractic at any of our three state of the art offices in the Gallatin Valley.